“Me: I’ll start exercising from Monday! It is one of the common scenes in many houses. Though, there are youngsters, who have finally started to pick-up health as a priority. But going forward, as their stressful lives take hold, there will be very few still standing by their routine. Laughter can be great at creating a positive environment. It helps in relieving the stress and rejuvenates the minds to think more. Humour can also be associated with creativity, and out of the box thinking. People with short laughter fuse could also be gaining better immunity from regular illnesses. Lot of it is associated with the relieving of stress hormones. But laughing increases immune cells and antibodies to fight against infections, boosting your immunity. Multiple pieces of research have indicated that laughter dilates the inner lining of blood vessels and increases the flow of the blood. Medically speaking laughter releases the endorphins in hypothalamus leading to the discharge of nitric acid to dilate the blood vessels. This nitric oxide is the chemical which also helps in reducing inflammations and preventing plaque from settling in the arteries. We often feel lost for words, or ideas while sitting in a room full of senior executives. Laughter is said to pause the moments of sadness and anxiety, making you feel more at ease and also giving you some energy to do things. Laughter is the best medicine against pain too. An article in The Journal of Pain pointed out that laughter improves body’s resilience against pain. This study states that pain resilience is negatively related to anxiety and stress. So, anything that relieves anxiety or stress will automatically help improve the resilience against pain. A good hearty laughter could be the thing for your body too, especially when you are not getting enough physical workout. Just half an hour of heartfelt laughter could produce similar results in the body as half an hour work out. One article on Laughter Online University associates laughter with equivalent trunk muscle exercises like crunches and back-lifting. It says laughter jogs almost all internal organs since it mostly works on the diaphragm which is associated with most other organs. Just like a good physical exercise can give you relaxed muscles and brain, laughter produces similar effects. However, for a shorter period of time. You can say laughter is not a complete replacement for physical activity, but definitely the best temporary alternative. 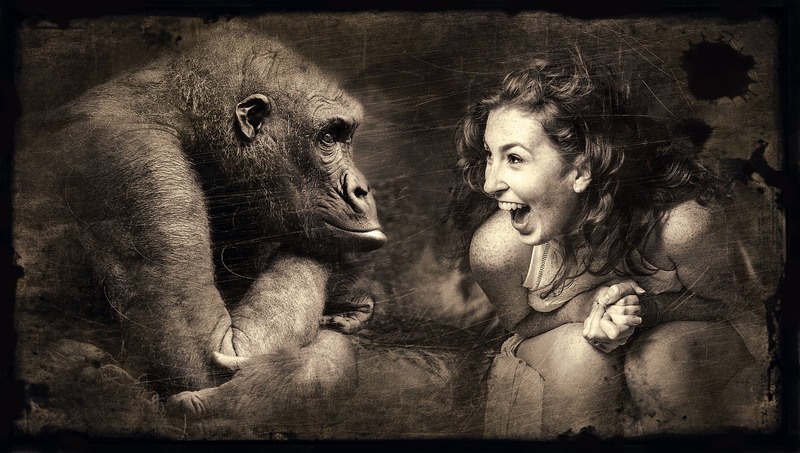 Laughter can be useful as well in social settings as well. The most uncomfortable environment anyone can be into is a situation where you know people are out there judging you. For example, a job interview, or family gatherings, even presentations in front of a large audience. Laughter can make you feel at ease in such environments and help you deliver your best. It helps in regaining awareness and presence of mind in social settings. Mary Payne Bennett1 and Cecile A. Lengacher, in their paper “Humour and Laughter, may Influence Health. I. History and Background” try to assess the clinical benefits of laughter in the treatment of various diseases. The paper says that the process and effects are yet to be fully documented. However, doctors and physicians have a clear opinion that laughter can help the patients stay motivated and recover faster. Just to clarify, that laughing is not the same as having a sense of humour. With a sense of humour you can make others laugh, but often it is those who are laughing get the benefit of laughter. Studies have indicated that people with great sense of humour are often careless about their own health. If you have a sense of humour, you are more valuable to others, but at the same time, also take care of your own health. Laughing in a group could be more beneficial and not to mention contagious. On this ‘World Laughter Day’, let’s promise not just to laugh but make others laugh as well. Standard Wealth Online (The SWO) endorses this “World Laughter Day” with “Laughter is the Best Medicine” for better health and wealth for everyone.